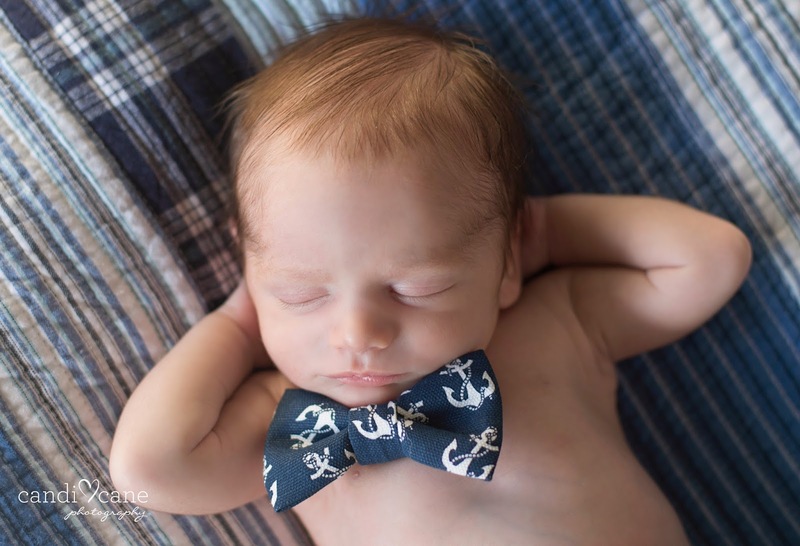 After getting Jack’s newborn pictures done by Candice of Candi Cane photography, I learned a lot about the art of newborn photography. 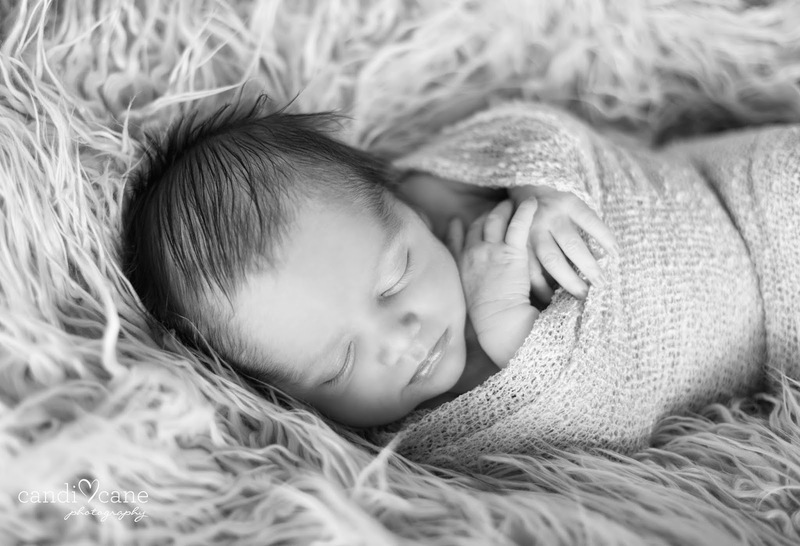 In this post, I will reveal 4 things you may not have known about newborn photoshoots! 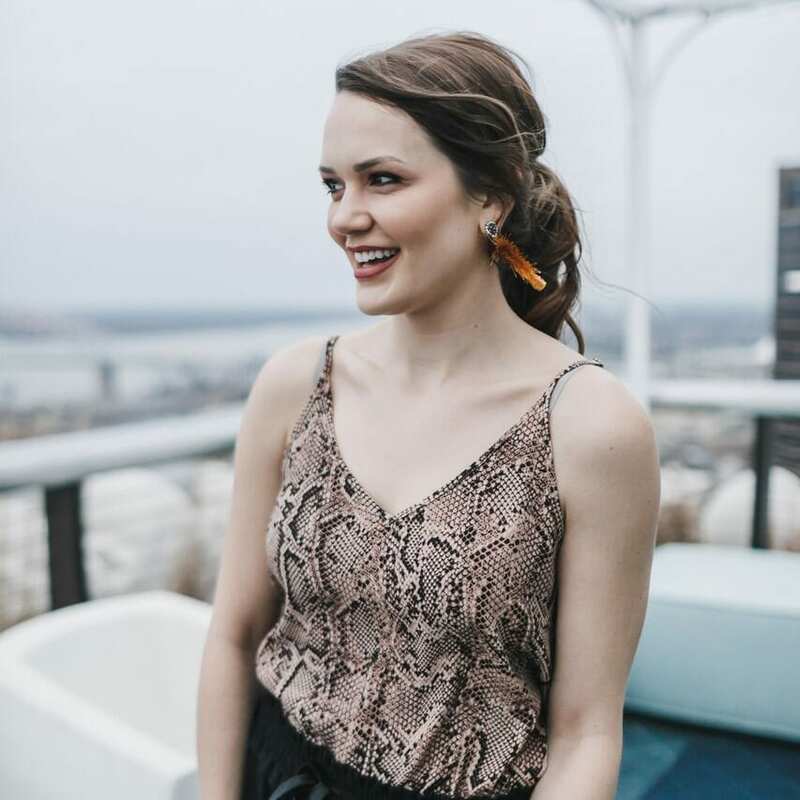 At the bottom of this blog post, you can enter to win a $50 gift card from Candi Cane photography towards a photoshoot. 1. 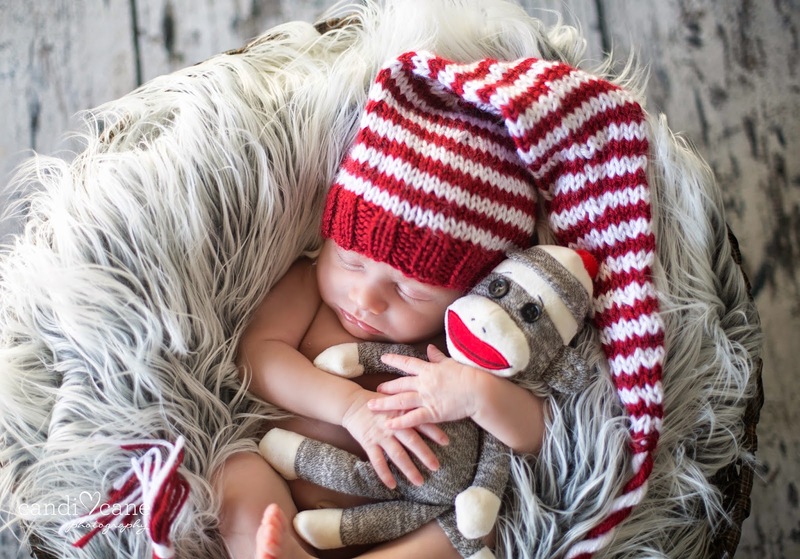 Newborn photos are captured under 2 weeks of age usually. Babies sleep and curl up in those sweet poses best at this age. 2. It is usually very warm in the room or house where the baby is being photographed. Candice had us turn the heat up in the studio and she also used a space heater to keep Jack warm and comfy. She told me that her motto is “If we are comfortable, then the baby probably is not!” Most poses are done naked and baby is happiest warm and snuggly. 3. Some shots you see are Photoshopped for baby’s safety. The classic “froggy pose” or “hands under the chin” pose are 2 images composited together in Photoshop. A hand is on baby at all times in this particular shot. Baby does not pose like this on his or her own. 4. Newborn shoots take time and lots of patience! Most shoots last around 3-4 hours if baby cooperates the entire time. It’s not just sticking the baby in a basket and snapping a picture. You have to be patient for baby to completely relax in the poses. 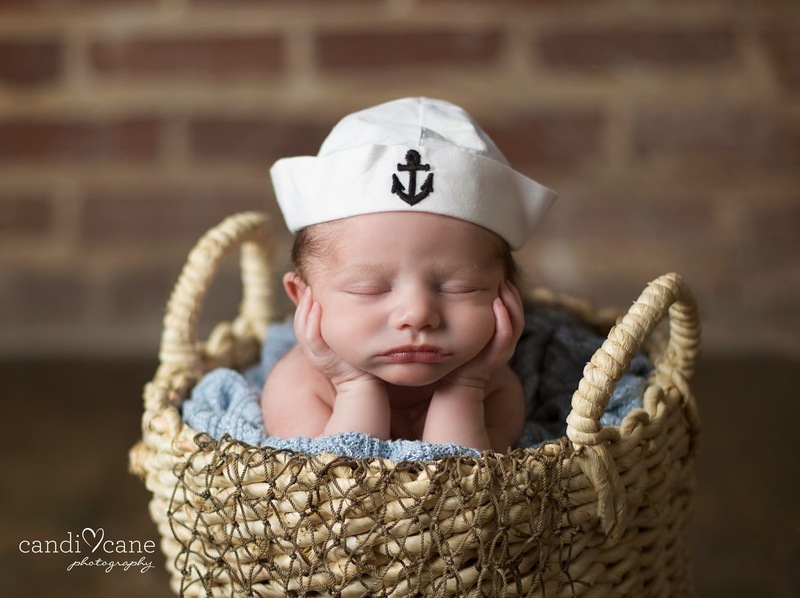 Other adorable newborn baby shots by Candice of Candi Cane photography. My name is Candice. 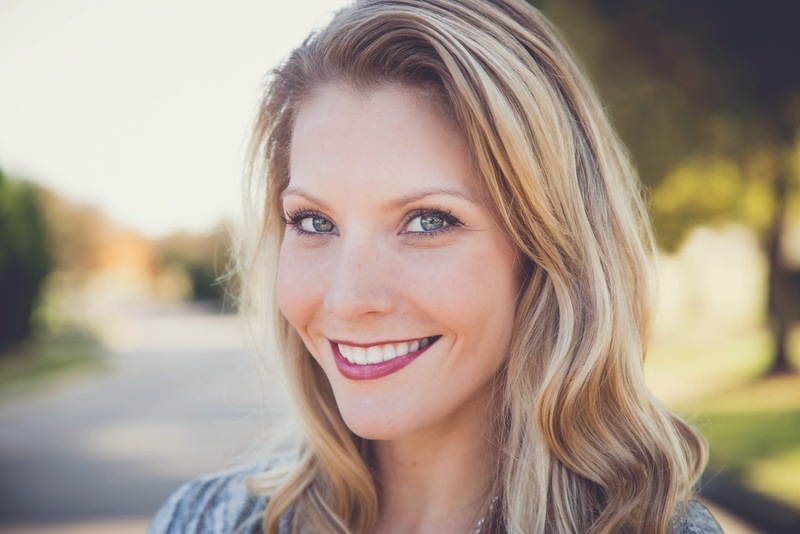 I am 25 years young and there is just something so special to me about capturing a moment on camera and then seeing the smile that it creates on my client’s face! I absolutely adore working with babies and children. My specialty is newborns I would say! I always wanted to have a job when I grew up where I could be around newborns and babies all the time. Now I get to live that dream! I get to play with them and create memories that their families will never forget. I have been known as the baby whisperer. 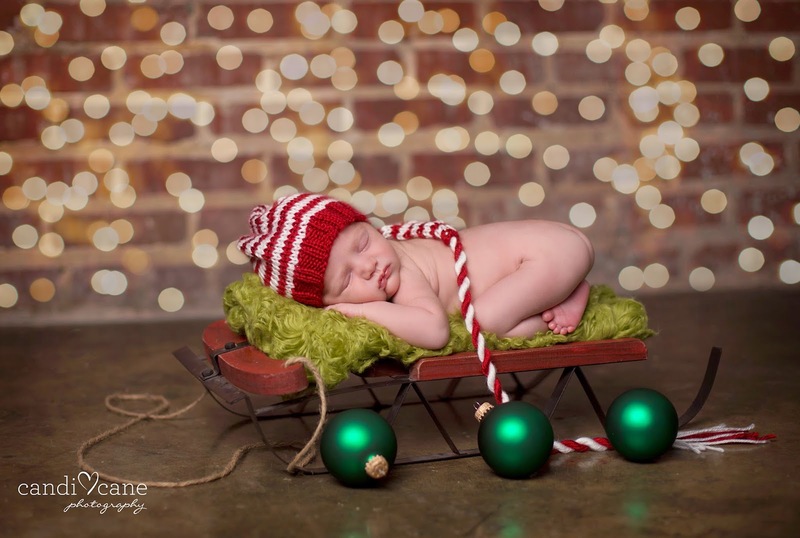 Don’t forget to enter to win a gift card courtesy of Candi Cane Photography. Don’t have a newborn? No worries. Candice does children of all ages as well as couple shots, engagement photos, etc. Such adorable pictures! Really enjoyed viewing them! You are a brilliant blogger. I am extremely impressed by your work and will advise your tips to everyone in my circle so that they could also take the benefits. Tonisha – I am so sorry I am just now seeing this post. Somehow I must have missed it. Thank you so so much for the kind words:-) I am so honored that you follow my blog and am very glad you are enjoying it. Where in the UK do you live? I used to live in Bournemouth! The UK is BEAUTIFUL! The pictures of newly born babies, you have posted here is very nice and innocent. The Blog you have posted here is really very impressive and useful for all. I am Really Impressed with your Post. Thanks for sharing it with us..